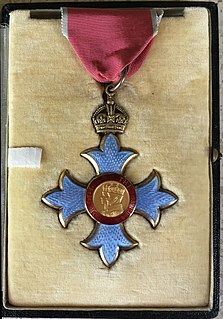 The New Year Honours is a part of the British honours system, with New Year's Day, 1 January, being marked by naming new members of orders of chivalry and recipients of other official honours. A number of other Commonwealth realms also mark this day in this way. Carel Pietersz. Fabritius was a Dutch painter. He was a pupil of Rembrandt and worked in his studio in Amsterdam. Fabritius, who was a member of the Delft School, developed his own artistic style and experimented with perspective and lighting. Among his works are A View of Delft (1652), The Goldfinch (1654), and The Sentry (1654). Patrick Heron CBE was a British abstract and figurative artist, critic, writer, and polemicist, who lived in Zennor, Cornwall. The Gemäldegalerie Alte Meister in Dresden, Germany, displays around 750 paintings from the 15th to the 18th centuries. It includes major Italian Renaissance works as well as Dutch and Flemish paintings. Outstanding works by German, French and Spanish painters of the period are also among the gallery's attractions. Robert Walker (1599–1658) was an English portrait painter, notable for his portraits of the "Lord Protector" Oliver Cromwell and other distinguished parliamentarians of the period. 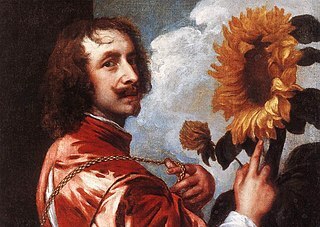 He was influenced by Van Dyck, and many of his paintings can now be found at the National Portrait Gallery, London. Events from the year 1620 in art. Jan van de Cappelle was a Dutch Golden Age painter of seascapes and winter landscapes, also notable as an industrialist and art collector. He is "now considered the outstanding marine painter of 17th century Holland". He lived all his life in Amsterdam, and as well as working as an artist spent much, or most, of his time helping to manage his father Franchoy's large dyeworks, which specialized in the expensive dye carmine, and which he eventually inherited in 1674. Presumably because of this dual career, there are fewer than 150 surviving paintings, a relatively small number for the industrious painters of the Dutch Golden Age. His marine paintings usually show estuary or river scenes rather than the open sea, and the water is always very calm, allowing it to act as a mirror reflecting the cloud formations above; this effect was Cappelle's speciality. Portrait of Queen Henrietta Maria, as St Catherine is a painting by Sir Anthony van Dyck. A Polish Nobleman is a 1637 painting by Rembrandt depicting a man in a costume of Polish szlachta (nobility). 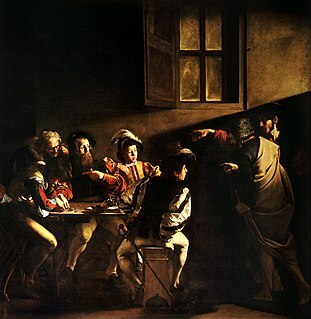 The identity of the subject of the painting is unclear, and has given rise to several different interpretations. The view that the figure's dress is clearly Polish is not universally held and it may have been a self-portrait. 1 2 "Van Dyck: What Lies Beneath". Fake or Fortune?. Series 2. Episode 3. 30 September 2012. BBC. Retrieved 5 October 2012. 1 2 "Our Members". National Museum Directors' Council. Retrieved 23 October 2012. 1 2 3 4 5 6 7 "Dr Christopher Brown, CBE Authorised Biography". Debrett's People of Today. Debrett's . Retrieved 23 October 2012. 1 2 "Traveller in Time" (pdf). Castaway. oxfordtimes.co.uk. September 2014. pp. 8–15. Retrieved 25 September 2014. 1 2 "Laureation address - Professor Christopher Brown CBE". News. University of St Andrews. 25 June 2013. Retrieved 25 September 2014. 1 2 "Freedom of Oxford for Catz Alumnus". St Catherine's College Oxford. Retrieved 25 September 2014. ↑ "No. 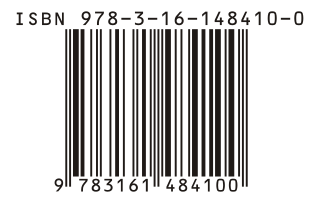 59647". The London Gazette (Supplement). 31 December 2010. pp. 6–7. ↑ "Honorary Fellows". Academic staff. St Catherine's College, Oxford. Retrieved 25 September 2014.